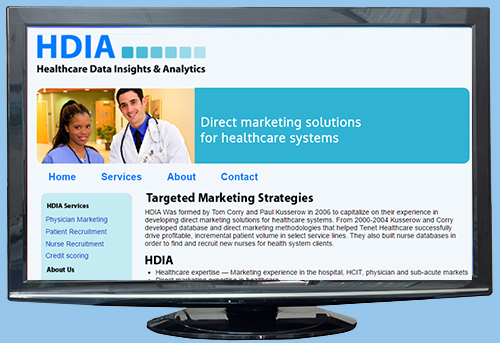 HDIA Was formed by Tom Corry and Paul Kusserow in 2006 to capitalize on their experience in developing direct marketing solutions for Healthcare systems. 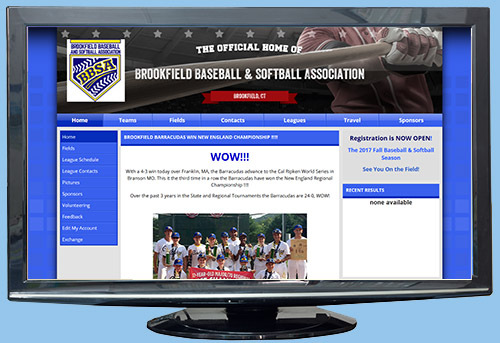 The Brookfield baseball and softball website was created to connect with the parents and players of all leagues and to be able to collect funds online. Re-Work In Progress! 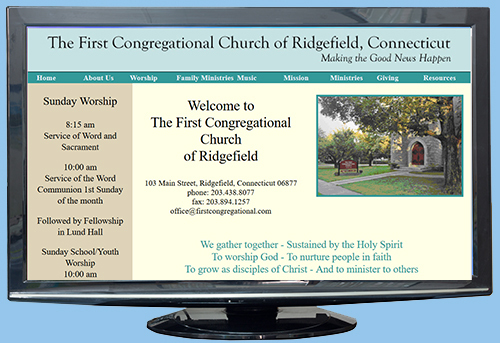 Working to be responsive. 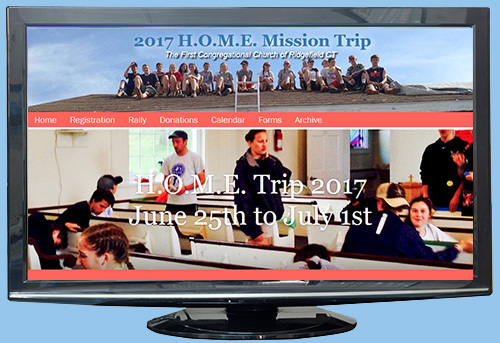 This site takes online donations, offers audio of the sermons given over the past 10 years, a daily calendar, and a monthly newletter all helped by the use of a database. 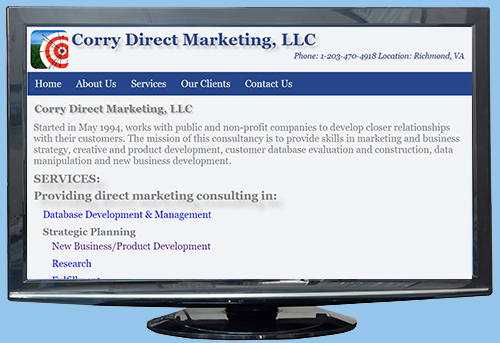 Corry Direct Marketing LLC started in May 1994 and works with public and non-profit companies to develop closer relationships with their customers. Work In Progress! Uses the one page app feature on the Collections page. This yearly trip to Orland Maine is embarked on by the High Schoolers of Rigefield High. They go to help the people of the town take care of repair projects around the town that they are not able to afford and/or complete on their own. 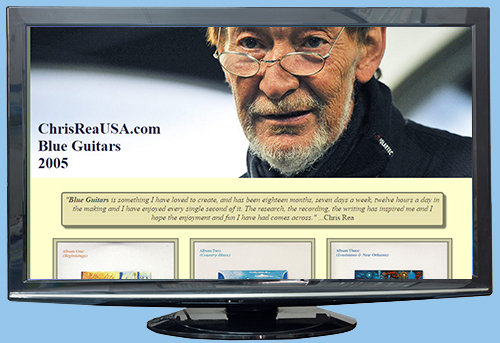 Blue Guitars is a project in the blues. There are 11 cd's and a DVD of the different blues genres that evolved over time in the evolution of the style. This has been a life's passion for Chris to complete. 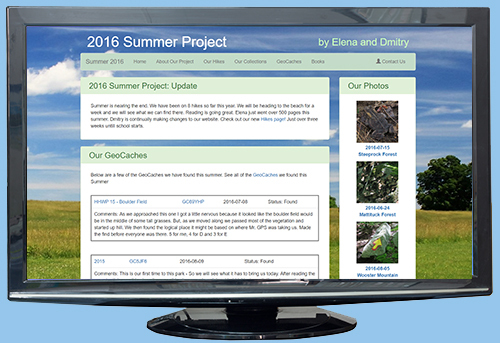 By using a database on this project we are able to display 12 pages with only 2 files! 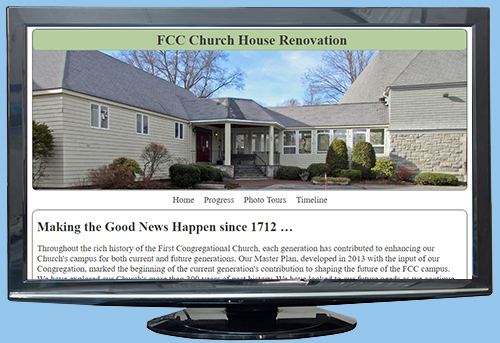 FCCRenovation.com was created to keep the parishioners of the First Congregational Church of Ridgefield up to date of the on-going process of renovating their church house.